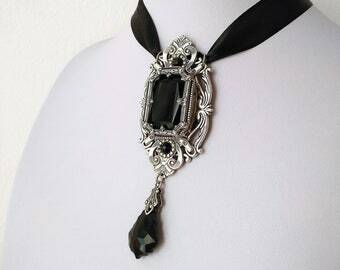 Announcement Google's No1 Victorian Gothic Jewelry Shop! Are you looking for semi-precious costume jewelry that maintains the elegance of past eras without being cheaply made with unhealthy materials that will irritate your skin? Then you've come to the right place! 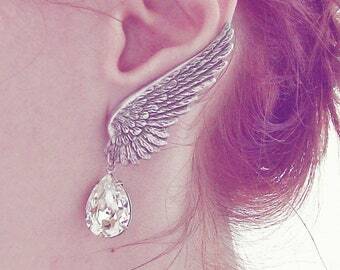 Vintage Style Bridal Jewelry, Antique Style Jewelry, Steampunk Watches, Gothic Pendants, Angel Wing Earrings, Gothic Watches, Fantasy Jewelry, Neo Victorian Necklaces, Statement Costume Jewelry, Gothic Chokers, Gothic Rings and more. ☛ALL ITEMS ARE MADE TO ORDER, USUALLY IN 2-15 DAYS. If you need to have your order on a specific date (like a birthday) please contact me so I can prioritize it. ☛Please read my Shop Policies http://www.etsy.com/shop/Aranwen/policy BEFORE placing any orders. ☛Please join my mailing list for a 10% off code and to be notified about special offers! 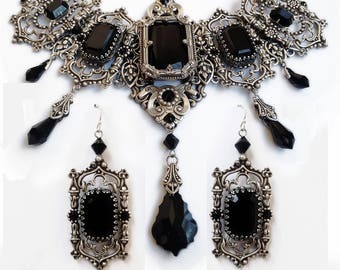 Google's No1 Victorian Gothic Jewelry Shop! I Received My necklace and earrings today and they are absolutely gorgeous..I will feel like an Empress wearing this masterpiece..Will be adding to my collection with other pieces from Aranwen.. 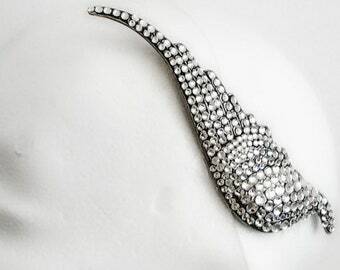 I love this pendant. The moonstone is such good quality. It did take a little while to get here since it ships from Greece but the craftmenship of the piece is with the wait. Plan on buying more pieces that match it. Head over to my Instagram profile instagram.com/aranwensjewelry to participate ! One immediately available in any colour. Grab it fast for Xmas delivery! A few of this week's shipments. Thanks for supporting small businesses this season!! 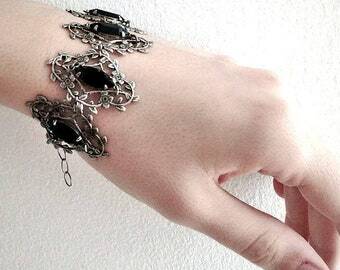 Aranwen's Jewelry is a one-woman fantasy driven business. Do you find yourself watching period movies or british Gothic films? Do you love fantasy literature, dark romance, fairytales, and even science fiction? Well I do, ever since I can remember myself. Over a decade ago I turned my love for fantasy and romance into a business. My mission is to bring a small piece of fantasy in your life, help you get one step closer to your fantasy self. My name is Vicky and I've been making jewelry since 2004 while studying Computer Science. Even though I got my BSc degree, I just couldn't see myself working behind a desk for the rest of my life. I had to follow my passion and create my own business. In 2012 I took silversmithing classes for two semesters, and thus my knowledge and appreciation of jewelry grew. Everything in my shop is handmade by me in my home studio, under the strict supervision of my four rescue cats. Being a vegan, caring for animals is something very important to me. I look to the past for romantic inspiration and deliver designs with an alternative edge, pairing the soft and tough sides every woman carries inside. I never wanted to fit in or follow trends. Standing out from the crowd has always been a personal goal, and it also drives me in my work. I see no point in doing what's already been done, or creating "easy to wear" items. Many times my designs have created much-followed trends. Don't be afraid to stand out for doing what you do best; being yourself. For purposes of EU data protection law, I, Vicky Menounou, am the data controller of your personal information. 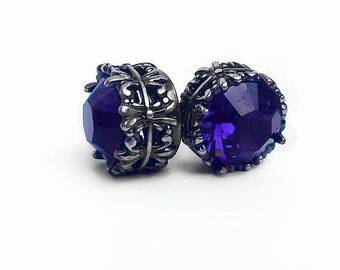 If you have any questions or concerns, you may contact me at aranwen@aranwensjewelry.com. 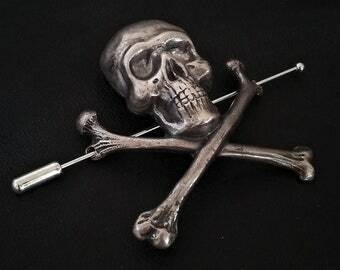 All metal parts used are made in the USA and conform to strict health and safety laws by being lead and nickel free. 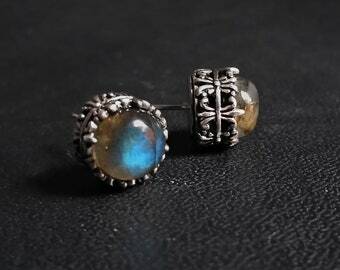 They are made of brass or Sterling Silver plated brass and have been given a vintage patina to accent their details. The plating is high quality and won't break or chip off. Always be mindful of the materials used in your jewelry in order to protect your health. All jewels are genuine Crystallized ™ - SWAROVSKI ELEMENTS made in Austria. All items are gift wrapped separately. Custom gift cards/notes can be inserted upon request, just enter your message in the "Notes to seller" field.